Our objective is to generate superior risk adjusted returns through problem solving and effort. 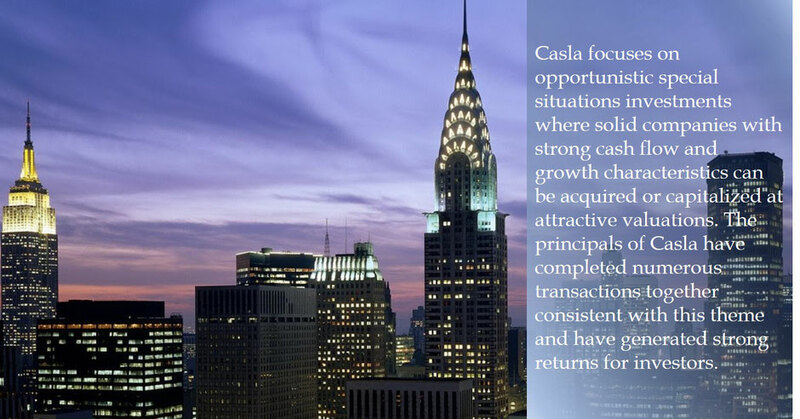 Casla is a boutique investment firm with experience and holdings in a variety of industries and asset classes. Casla specializes in identifying great opportunities by working alongside strong management teams. Our world class private equity investment experience spans two decades and various economic cycles.